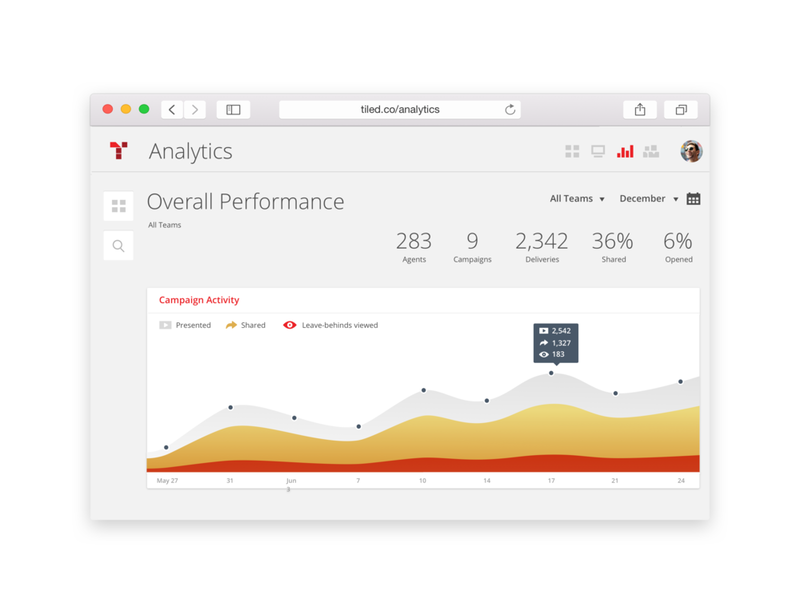 Tiled is a browser-based tool that makes existent sales material interactive experiences, easy to mass distribute, and measurable. 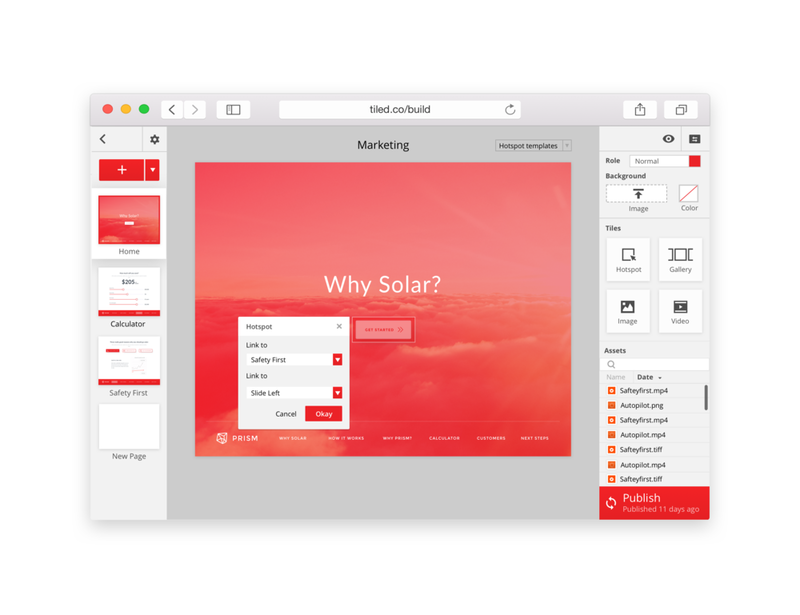 Designed a simple drag and drop interface helps the user take existing presentations and sales material and turn them into interactive experiences. Developed a full blown analytics tool that works in sync with presentation use by all clients and sales reps.
Crafted a full blown user management system that facilitates mass distribution and team organization to scale.